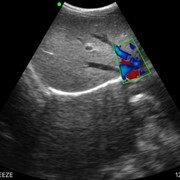 The advanced probe technologies effectively enhance the image quality and confidence in reaching clinical diagnoses even with difficult patients. True nobility is in being superior to any in its class. 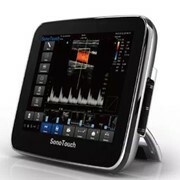 Consistently improving technologies and services with the patient’s comfort in mind, SonoScape's passion for innovation makes it a natural fit for today's market and choice for tomorrow. 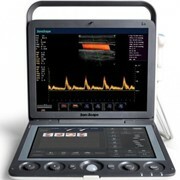 With the belief in leading the trend of ultrasound, inheriting and spreading the classic and elegance, and through continuous effort, SonoScape releases a new model, the S8Exp. 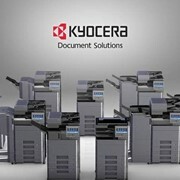 The most important controls are conveniently located within an intuitive interface, making all operations both easy and fast. Fifty degree foldable, high resolution, color LCD screen guarantees the most comfortable viewing location available in any environment. 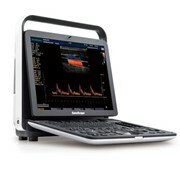 Embedded with SonoScape's core imaging processing technologies such as μ-scan, PHI and Spatial Compound, the S8Exp boasts exceptional 2D imaging, sensitive spectral, Color and Power Doppler, displaying well-defined anatomy and pathology and facilitating a highly optimized diagnostic user environment for conclusive diagnoses. 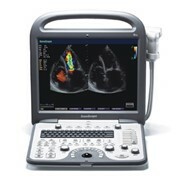 The S8Exp also offers a comprehensive selection of electronic probes to maximize its capabilities to meet a wide range of applications including pediatrics, OB/GYN, cardiology, MSK, etc. 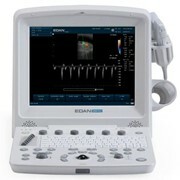 With an ultra-modern, innovative design and the clinically-proven technologies, the S8Exp is well equipped as a easy to use and enhanced-image-quality ultrasound scanner, which not only provides optimized solutions for versatile applications, but helps to improve the user-experience for both routine and non-traditional challenges.